Why reinvent the wheel? Philosophers have known how to motivate just about anything since ancient times. The long summer break is a challenging time to continue positive exercise and diet habits. If you have succeeded in maintaining your weight and fitness level while traveling, having kids off from school, and going on day trips, I congratulate you! Understandably, many people put on weight during the summer, as eating more and skipping gym can become the norm. However, as the lazy summer draws to an end, you have a perfect opportunity to start a new positive and healthy cycle. You just need to find the motivation to get back on track. But, if weight loss has evaded you before, it may be because you’ve been chasing the wrong (or at least an incomplete) goal. We all want to look good and feel fit, but losing weight can be much more than just a superficial experience. Instead of trusting the unreliable mirror to be your motivation, I like to dig a little deeper, to the four categories of human accomplishment taught by ancient philosophers. The first most basic level is “external” possessions. This includes your external appearance: Looking great and fitting into normal-size clothing fall into this category. After all, most people do judge a book by its cover, and we all love to hear those “you look so skinny” or “you look so fit” comments from friends. The second, more advanced, category of human accomplishment described by the ancient philosophers is physical health and strength. This is especially pertinent when losing weight because skinny doesn’t always mean that you are healthy. You definitely lower your risk of disease by simply dropping pounds. However, without exercise and a well-balanced diet, you can still be quite unhealthy on the inside, although you look “skinny” on the outside. In order to achieve this second level, you need to set aside fad diets and unhealthy measures. Implementing a well-balanced diet and simple exercise program are prerequisites to improving your health, which will include looking good. What does emotional health or moral virtue have to do with weight loss? Dietary and lifestyle habits directly affect our emotional well-being, behavior, and even our thought processes. I am not referring here to the effects that certain foods have on mood and the changes in our brain structure (chemically and physiologically), which can lead to altered behavior, the way they found in a study published by the American Journal of Psychiatry. Nor am I speaking about the feelings of guilt or failure that accompany “going off” a diet program or eating unhealthy foods. I’m pulling my research from way back to an idea that your eating habits affect all of your behavior characteristics, even those not directly associated with eating. In other words, the “lack of control” or excessive desire associated with bad eating habits overflows and effects other character traits like anger. It also exacerbates stress and unhealthy addictions because all our emotional habits are linked. The fourth and highest level of human accomplishment is spiritual development. 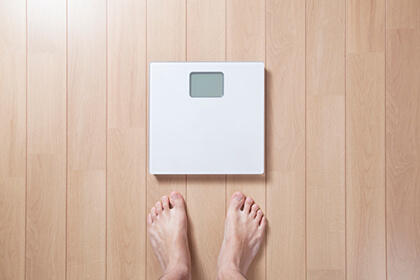 Even religious enthusiasts often fail to see the connection between physically losing weight and spiritual achievement. In fact, fitness and weight loss are sometimes viewed as mundane or superficial goals, at odds with intangible, spiritual goals. This is not so! According to Maimonides, good health is not simply something you do for yourself, “Keeping yourself healthy through good diet and exercise is a service to God,” he wrote. Real motivation will hit all four of these levels of human accomplishment: losing weight and looking fit; experiencing improved health from exercise and a balanced diet; creating positive changes that benefit all of your emotional habits; and having a mindful and intellectual appreciation of what it really means to reclaim your health.